After no one came to her son’s eighth birthday party Sunday, a Hurst mother decided to get the police involved. He had the same heartbreaking experience when he turned 6. This always happens,” the devastated boy told his mother. Desperate to cheer up her son, she posted a message on the Nextdoor neighborhood website. No responses came in right away, so Day thought of a last resort. 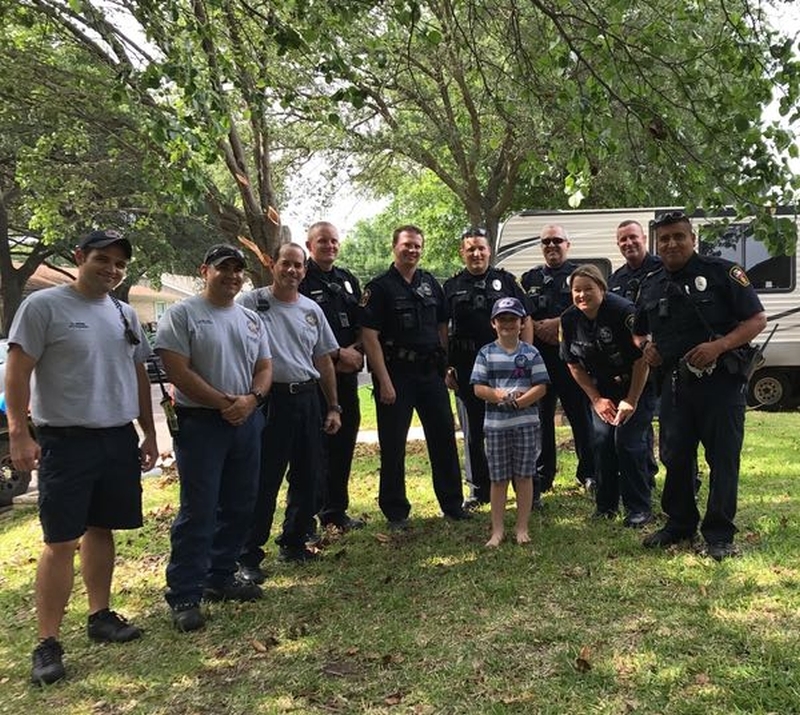 She and her husband drove to the Hurst Police Department and asked whether an officer might come see her son, who has always wanted to be a policeman. Soon after she and her husband got home, the station’s entire shift showed up at her front door — with a few Hurst firefighters, too. “There’s no way I can repay what they did for his little broken heart,” Day said. And while she and her husband were trying to enlist the help of the police, several families they’d never met had seen the Nextdoor message and came with their children to celebrate. Other people in the area got together and brought presents for Graham. She was overwhelmed by the show of support from police and firefighters and the kindness of others in the community.